It is hard to believe that the S60s units we currently have in our pipelines is all that we will have until the new S60 rolls off the assembly line in our South Carolina factory almost a year from now ! Great news! Motor Trend has released the list of finalists for the 2018 Motor Trend SUV of the Year and the New XC60 made the short list! Also important to note: The V90 Cross Country was also named a “Top Contender” for the SUV of the Year award and the V90 was named a “Top Contender” for the Car of the Year award. This another great testament to our brand transformation and amazing new line-up of vehicles. Please share this great news with your entire staff. Thank you! The team and I would like to express our sincere gratitude and appreciation for those of you who attended the US Retailer Roadshow. There’s no way to describe the immense value of these sessions where dialogue dominates and common understanding and alignment prevails. As I returned home to my family Friday evening, I must admit that exhaustion caught up with me as I looked back at the nine separate sessions, covering close to 300 retailers, squeezed into six working days. The interesting thing is that despite the fatigue I was elated and felt an even greater surge of motivation. As I’ve already shared with you, I thrive when facing the prospect of tackling challenges and overcoming obstacles. I think that you will all agree with me when I say that we have just as many opportunities as there are challenges. What was clear to me is that we all love the brand and feel immense excitement about the array of new product, both current and in the pipeline. We also concluded that we are standing on a solid base from which we can build towards a more profitable business alongside a more prominent brand. Looking ahead, we have ample amount of impressions, take-outs, and ideas to digest and reflect upon in the coming weeks. This will be the basis of the next phase of the process which you will, of course, be an integral part. Having done that we will be in a much better position to address the detail matters, challenges and of course opportunities head-on, taking informed and calculated decisions, together. As I hopefully conveyed clearly during our session, I am a strong advocate of working with mutual trust. I live by the principles of openness, transparency, and consideration of opinion. I truly enjoyed meeting you all was pleased to establish a base for an open dialogue on how we jointly move our brand and business forward. I also mentioned during the meetings that the pace of announcements at Volvo Cars would not slow down. Today we are announcing the next phase of our strategic partnership with Uber. Volvo Cars has signed a framework agreement with Uber to sell tens of thousands of autonomous driving compatible base vehicles between 2019 and 2021. This will not impact availability of cars to U.S. retailers. A copy of the press release is attached for your information. The team and I will be reaching out to you soon with further details and input, in the meantime, take great care and have a Happy Thanksgiving! Nowadays, station wagons are a bit of a rarity. Fortunately Volvo is helping to lead the front on their reemergence and doing it in style. Normally I do not enjoy driving long wheelbase vehicles, especially wagons, but something about this 2018 Volvo V90 T6 AWD Inscription convinced me to get into its driver seat. Far from typical, the V90 Inscription's interior exudes elegance and the exterior showcases high quality, giving you a good sense of Swedish luxury. Here are seven details about the Volvo V90 Inscription that deserve a standing ovation. The integration of the washer fluid nozzles into the wiper blade arms of the Volvo V90 is genius because the fluid is applied only where it is needed. This ensures that the window washer fluid will not spray everywhere-and that driver next to you or behind you while in motion won't get aggravated. It is also helpful for when something spontaneously splatters on your windshield immediately after you just took your car through the drive-thru wash. The V90 Inscription's remote is wrapped in the same material as the interior upholstery, while its sleek and elegant design sets it apart from other key fobs. Oddly enough, I found it comfortable to carry the Volvo's key in the back pocket of my jeans. There are two cool details about the V90's ignition switch. First, it's located on the console instead of on the dash. Second, you turn it to the right to start or shut off the engine, deviating from the typical push button setup. Simple yet exquisite, this wagon has the best interior rear view mirror design I personally have ever seen. Its slender, frameless structure reminded me of the edge-to-edge design of the iPhone X, taking it a step above other bulky looking mirrors. I've heard a rant or two against the touchscreen and frankly I beg to differ. Maybe it's the size of the V90's center display, but I found the Volvo's infotainment system to be particularly user friendly. Contributors to its usability are the clear graphics, large display (I greatly appreciated the enlarged map while navigating the streets of Los Angeles at night), intelligent menu button layout, and handy swiping function. As a driver who regularly utilizes the latest technology in modern cars, what has helped me enormously is configuring the car's infotainment setup before putting the car in motion as adjusting settings on a car's touchscreen while driving can be as distracting as using a smartphone. One aspect about driving that I enjoy is a good soundtrack, but the audio system arena is one that I feel many manufacturers tend to fail in. The V90's available Bowers & Wilkins system (a $3,200 option), however, delivered exceptional sound whether I listened to news, music, or navigation directions. Driving this wagon put me in a country music mood. George Strait, Miranda Lambert, and Johnny Cash were all on cue. Enclosed in stainless steel panels, the large door-mounted front speakers resemble those of a retro boombox. What could possibly be cooler than that? What can be better than having a gigantic panoramic roof while gazing at the stars at night in the desert or somewhere high in the heavens? The V90's power operated panoramic roof allows you to ventilate the cabin by tilting the front section with a push of a button. Looking for a little natural light while reading a book without getting that annoying specular sunlight? No problem! The dark tinted glass takes care of that. Lastly, in case you forget to close the panoramic roof after parking and locking the car, you can close it with the key remote from outside without a hassle. The upcoming Hyundai Kona EV, due to be revealed sometime next year, has been spied this week during testing in Europe. The EV retains the overall look and shape of the combustion-powered Kona that recently hit the market, though there appears to be a different front grille and new alloy wheels to distinguish it as a 'green' model. The vehicle was spotted while recharging, revealing the frontal placement of the charge port. With that in mind, expect a different grille to feature on the EV, likely a closed unit similar to that on the electric version of the Hyundai Ioniq - as there is no engine that needs air for cooling. In terms of powertrain and driving range, Hyundai revealed at the international launch of the regular Kona that it was targeting an all-electric range comparable to a conventional petrol vehicle - a figure of 'over 390km' was mentioned. A few years ago, I drove a 2015 Volvo XC60 for a week. It was comfortable, stylish, and an all-around excellent SUV. About the only thing I didn't like about it was the infotainment system, which had changed little from when the XC60 was first introduced at the end of the Bush administration. It certainly got the job done and, considering that the interior of the XC60 hadn't changed much for a few years, it was a testament to how good the car was when it was first designed. A Volvo rep once told me that sales of the XC60 "kept the lights on" at Volvo, keeping the company in business long enough to develop and release the excellent XC90 SUV, S90 sedan, and V90 wagon over the past few years. The XC60 is Volvo's volume seller. The XC60 hasn't seen a top-to-bottom redesign since its debut nearly 10 years ago. But in 2016, Volvo sold 161,000 XC60s, a rise of 0.9 percent from the year before and nearly double the company's XC90 sales over the same period. And now, finally, there's a new XC60 for 2018. And for Volvo fans, it looks like it was worth the wait. The XC60 competes with luxury SUVs like the - X3 and the Audi Q5, and, though it doesn't have the volume numbers of some of those competitors, I think the new XC60 stands out. It has a Swedishness to it - clean, sharp lines, but with a warm interior that makes you feel at home. There's even a little Swedish flag stitched on the edge of the seat, just so you don't forget where this car came from. It has the same Thor's Hammer headlights as Volvo's 90-series, the same terrific iPad-esque infotainment setup, and basically the same exterior design. In almost every way, the XC60 is a slightly smaller version of the XC90. That's a good thing. I'll withhold final judgement on the XC60 until I can spend some time with it, but if Volvo's recent history is any indication, they're going to sell a ton of 'em to some very happy customers. The all-new Volvo S90 luxury sedan has been named a 2017 AUTOMOBILE All-Star, a title usually reserved for the likes of Porsche, Ferrari and Bentley. According to AUTOMOBILE's editors, the S90's cohesive package of safety, style, sensibility, and supple ride make it not just a standout luxury sedan, but a car truly worthy of All-Star standing. "With the S90, it's not about how fast it gets you there; it's about how it makes you look and feel as it does," added AUTOMOBILE editor-in-chief Mike Floyd. "That the S90 sits alongside childhood dream cars as an AUTOMOBILE All-Star speaks volumes about how Volvo can build truly compelling car," said Lex Kerssemakers, Senior Vice President Americas and President and CEO, Volvo Car USA. The S90 starts at less than $49,000 and is the first car to come standard with semi-autonomous drive functionality. 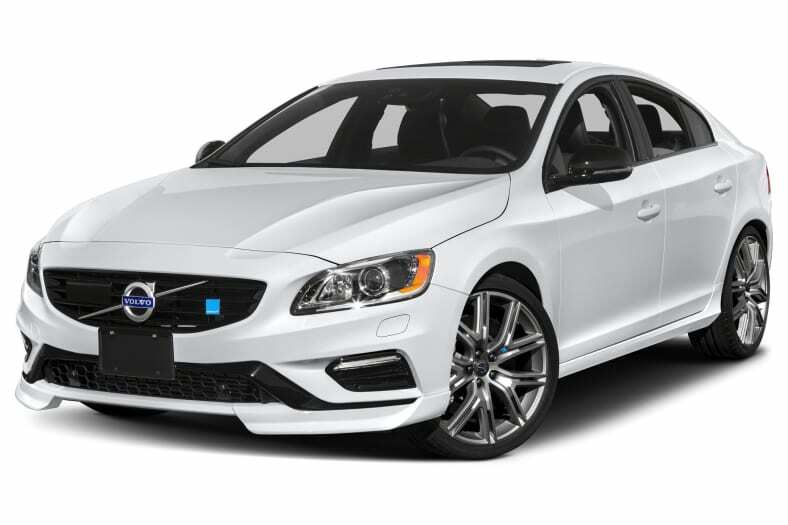 It is available with a T6 316hp turbo- and supercharged Drive-E all-wheel-drive powertrain or a T5 250hp front-wheel-drive layout, features a nine-inch tablet like touch screen control panel, and all the safety for which Volvos have always been known. Consumers can learn more by visiting www.volvocars.com/us. Being named an AUTOMOBILE All-Star isn't the first recognition the S90 has seen. The car was also a finalist for the 2017 Motor Trend Car of the Year and the 2017 North American Car of the Year. From the beginning, choosing the AUTOMOBILE All-Stars has been about cutting through the hype and noise in search of a select group of vehicles with style, class, importance, and desirability. While the format has changed some over the years, the overall formula remains simple. No complicated criteria to hue to, no price caps, no narrow categories. We drive them. We argue about them. We vote on them. Done. AUTOMOBILE chooses its All-Star vehicle contender list from the entirety of all-new, heavily revised, or newly significant variants on sale or otherwise available in the U.S. in the 12 months preceding our test. Then the editorial staff spends multiple days driving the assembled array of All-Stars contenders on both road and track and casts their votes for the winners by private ballot. After choosing the All-Stars winners, the number of which will vary from year-to-year, the staff sets out to get even more extensive seat time with them through long-term tests and other epic, feature-based drives. Volvo Cars, the premium car maker, today revealed the long-awaited new XC60 SUV at the Geneva Motor Show. The new car replaces Volvo's highly-successful original XC60, which in the nine years since its launch became the bestselling premium mid-sized SUV in Europe with nearly a million units sold globally. The XC60 today represents around 30 percent of Volvo's total global sales. 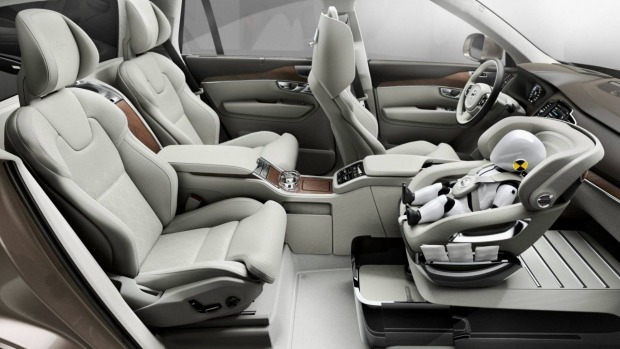 "We have a strong heritage in designing stylish and dynamic SUVs that offer the latest in technology. The new XC60 will be no exception. It's the perfect car for an active lifestyle, and it represents the next step in our transformation plan," said Håkan Samuelsson, President and Chief Executive, Volvo Car Group. "We have focused on building a car that can deliver pleasure to all of your senses - from a commanding view of the road ahead in a beautifully appointed and calm cabin, to a safe, inspired and confident ride," said Henrik Green, Senior Vice President Product & Quality at Volvo Car Group. "We've paid particular attention to making life easier for our customers by providing them with the creature comforts and services that take the hassle out of everyday life." Pilot Assist, Volvo's advanced semi-autonomous driver assistance system, which takes care of steering, acceleration and braking on well-marked roads up to 80 MPH, is available in the new XC60 as an option. You might be hearing a lot about our products and, at times, we might also be filling your email box with special offers, but this message is not selling anything. We want only to tell you how much we appreciate the fact that you spend your hard earned money with our dealerships. It is a busy and tumultuous time in our country and sometimes we don't often enough simply say we appreciate you and thank you. We also realize that there are times that you want to communicate with us and, although we do our best to respond promptly to messages, sometime our response might not be quite timely as either of us might wish. So, we have built a system through which we can communicate like we are doing right now. We can send messages to you that we think and hope, are pertinent and you can do the same with each and every one of us. We call it our Long autoWALL. You see, this is a community of all of us, you the customer and us the service provider and each of us have a profile through which we can communicate. So, check yours out, look it over and send a message to us. If you do not know your credentials, then contact us at lilly@longofchatt.com. Also, through the same system, if you like, you can pay for your vehicle services online, prior to picking up your car. Once work is completed and your vehicle is ready, a detailed invoice will be sent to your computer or mobile device. We hope that this will be more convenient for you and will save you time. We use PayPal as the transaction facilitator simply because that is the safest payment system available and no, you do not have to have a PayPal account to use it. Just go ahead and use your credit card. And, even if you pay online, we hope that you still will take the time to say "Hello", have a hot cup of coffee and fresh baked cookie with us. You know that cold weather is on its way. Our small premium SUV is now even more versatile with its two new styling offerings, both standard with high levels of equipment and at the same attractive starting MSRP, proving to be a great value. With the 2017 lineup, we now provide our consumers with the choice to select the XC60 Dynamic or the XC60 Inscription. Two versions of a great car. A versatile, powerful yet refined car, the 2017 XC60 is the perfect mid-size SUV. It offers athletic, energetic design for your active lifestyle, but can also be the stylish driver’s car for your more refined sensibilities. Volvo broke ground on its first auto manufacturing plant in North America on Friday and announced that workers at the $500 million plant will build a car still being designed in Sweden. Volvo North America CEO Lex Kerssemakers said the plant will build the company's new S-60 sedan as well as another model to be announced later. The plant is being built off Interstate 26 about 30 miles northwest of Charleston will eventually be capable of making 100,000 cars a year. Kerssemakers was joined at the site by Gov. Nikki Haley, U.S. Sens. Lindsey Graham and Tim Scott, Commerce Secretary Bobby Hitt and other state and local officials. Haley joined Kerssemakers in wielding a silver shovel to turn dirt at one corner of a large tract that has already been cleared of trees. 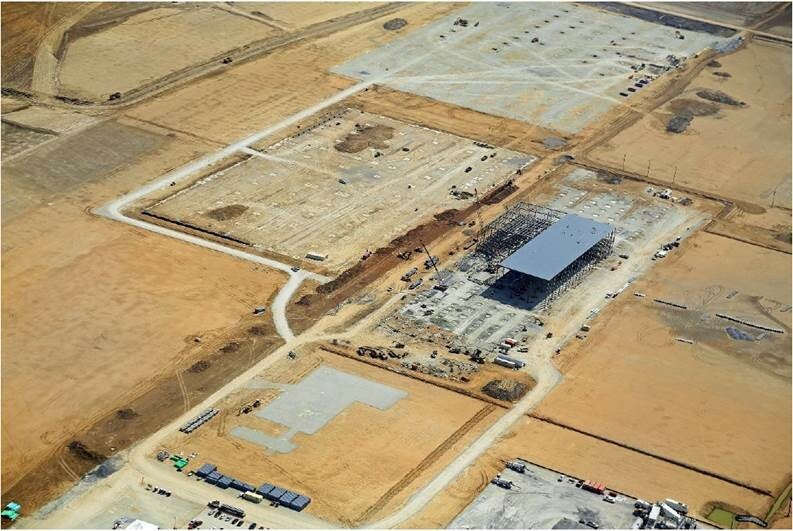 Company officials said foundation work will begin early next year and the first vehicles are expected to roll off the plant's production line in 2018. Volvo engineers are pushing the boundaries of car safety with a view of creating a death-proof car. Swedish vehicle manufacturer Volvo has issued bold promise to have 'death-proof' cars on the road by 2020. Lex Kerssemakers, CEO of Volvo in North America told CNN that by 2020 no one will be killed or seriously injured in a new Volvo car or SUV. Kerssemakers said the company's Swedish engineers were "pretty genuine" in the claim. "They don't say things when they don't believe in it." Volvo spokesman Jim Trainor stood by the claim, saying: "the long term vision is that cars shouldn't crash." There are currently nine vehicle models, which include the Volvo XC90, in which no one in the US has died in the past four years. Volvo is reportedly working toward autonomous car technologies that will prevent crashes and help make vehicles death-proof. Volvo safety engineer Erik Coelingh told CNN with the development of full autonomy "we are going to push the limits of automotive safety". However, the car company admits that they cannot account for the safety of drivers who want to hurt themselves or who are "just really, really stupid". The Volvo XC90 does it again! What if a Swedish born and bred crossover utility vehicle (CUV) came to the Truck of Texas rodeo and rode away with not one, but several top awards? 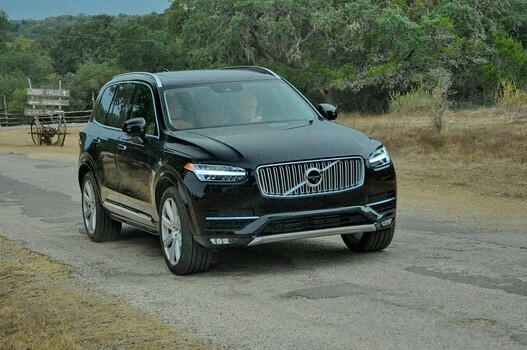 Well it happened this last week at the Knibbe Ranch in Spring Branch, Texas where the new generation 2016 Volvo XC90 All-Wheel Drive crossover took on the best of the rest going away at the end with the top prize - the Texas Auto Writers Association (TAWA) 2015 CUV of Texas award. 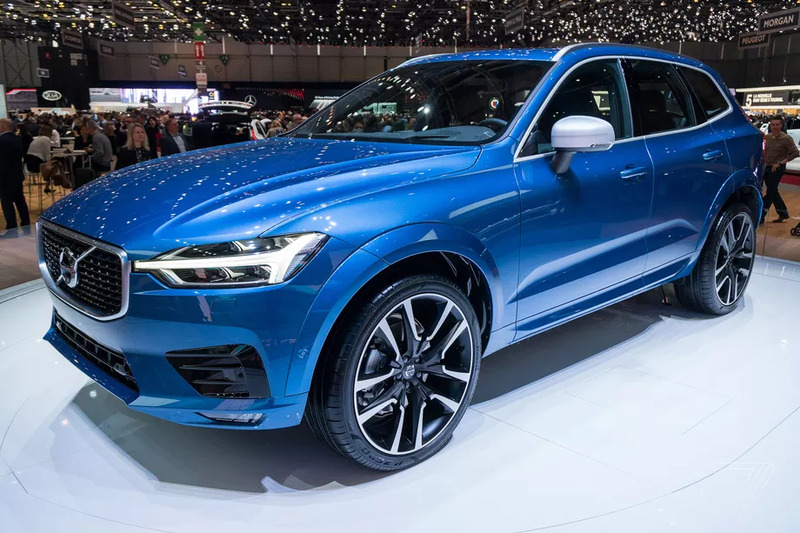 That was after they had been named as the Luxury Crossover Utility Vehicle of Texas while their new Volvo Sensus touchscreen information system - that works like a tablet - was recognized with the Best Connectivity Award. And while they were at it, their (also all-new) Volvo T6 Drive-E 2.0L super and turbocharged 4-cylinder engine with its 8-speed automatic transmission finished second only to the all-new Cummins 5.0L Turbo Diesel diesel and Aisin transmission for the 2015 Best Powertrain Award. 'One Riot, One Ranger' is a legendary part of the history of the Texas Rangers and the folks at Volvo appear to understand that principle clearly coming to the annual Truck of Texas competition with just one vehicle and one person to challenge the 16 entries from 13 manufacturers for recognition as the best crossover utility vehicle in Texas for 2015. Full Disclosure: This was not a first rodeo for Volvo. They have been here before. In fact, entering their 2003 Volvo XC90 in the 2002 Texas Truck Rodeo competition, Volvo actually rode away with the 2002 Truck of Texas Award (there were no CUV or SUV categories then). Then, as now, the Volvo success formula would seem to be "One Rodeo, One Volvo"
Volvo, pulling on their Texas boots this year, entered their brand new 2016 XC90 T6 Crossover in the TAWA Truck of Texas competition - this time in the Crossover category. Recently arriving in the U.S., the all-new XC90 is the latest generation version of their popular crossover and the first fully 'clean sheet' design fully developed by Volvo since they separated from Ford in 2010. And, based on our short drive, this is a beauty. The 2016 Volvo XC90 AWD crossover is stunning in design on the outside and the ultimate in distinctively functional design and use of materials on the inside. The new XC90 comes in three trim levels - the volume level Momentum (MSRP $48,900), luxury level Inscription (MSRP $54,500) and the dynamic sporty looking R-Design (MSRP $52,900). Volvo sent their Momentum Model (already very well equipped) seriously loaded up with several optional packages adding features like LED Automatic Headlights with Active Bending Lights, Headlight High Pressure Washers, Heated Front and Rear Seating, Four-Zone Climate Control, 360-Degree Surround View Camera, Dark Flame Birch Wood Inlays, Front Park Assist, Adaptive Cruise Control with Pilot Assist (automatically steers based on the car in front), Nappa Leather Contour Seating, Graphical Heads-up Display, 4-Corner Air Suspension and an awesome Bowers and Wilkins Premium Sound System with CD Player. The delivered price on the 2016 Volvo XC90 AWD Momentum entered in the competition was $67,000. Features we noted in particular were the new Sensus information system with Navigation and its 9-inch tablet-like touchscreen plus voice-command capability with controls also on the steering wheel; the Integrated Child Booster Seat in the center of the second row which can independently slide forward for parent access from the front row when necessary and the Drive Modes Control System (with the its finely crafted control knob) located close to the driver in the center console. Drive Modes Control has five modes available from ECO to an Individual Mode that allows the driver to customize responses from powertrain, steering, braking and suspension. We particularly like Dynamic (others call it Sport) which adjusts throttle and transmission shift points for quicker response PLUS it lowers the car by 0.8-inches at speeds above 84 mph to improve aerodynamics. But the Off Road Mode was the most fun on the ranch roads. It operates only at speeds under 25 mph. 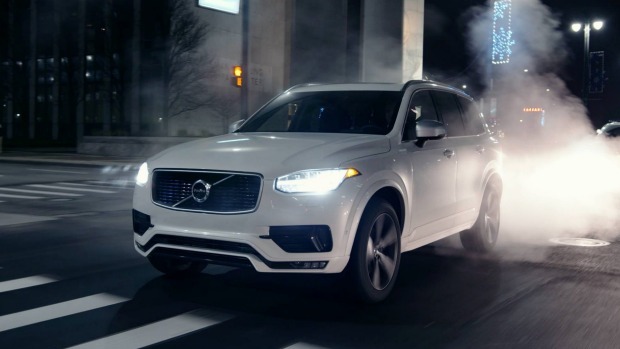 When engaged, it raises the XC90 1.6-inches for greater ground clearance, locks the differential, activates Hill Descent Control, sets steering to Comfort Mode, optimizes the powertrain for traction and sets Electronic Stability Control for traction/sport. Lastly, the new 2016 Volvo XC90 AWD is chock full of well-known Volvo safety features including Pedestrian and Cyclist Detection, Park Assist Pilot for automatic stall parking (in addition to parallel parking) and Rear Collision Warning that uses the Rear Facing Camera to detect cars approaching from behind at an unsafe speed and pre-tightens seatbelts and applies the brakes to prevent being pushed into a car in front. And, the new XC90 has already been rated by the Insurance Institute for Highway Safety (IIHS) as a Top Safety Pick+ - their highest rating. One Rodeo, One Volvo seems to be a winning combination for Volvo in Texas. We highly recommend you drive it to see why for yourself. Volvo Cars has chosen a site in South Carolina for a $500 million investment in its first U.S. plant, it said today, targeting a bigger share of the increasingly competitive North American premium market. Work will begin this year on the factory in Berkeley County, with production due to start in 2018 and quickly reach 100,000 vehicles a year, Volvo said in a statement. The investment is part of a drive by China's Geely , which bought Volvo Cars from Ford Motor in 2010, to rebuild a brand that ran into trouble in the financial crisis. "This is a clear sign of commitment to the revival of our U.S. business," Volvo CEO Hakan Samuelsson said. But the move coincides with toughening competition in the North American luxury car market. Rivals have been ramping up capacity, with many choosing Mexico for its lower wages, non-unionized workforce and access to the United States and other export markets under a raft of free-trade deals. In total, North American production capacity is set to rise more than 10 percent over five years to 19.6 million light vehicles in 2020, according to WardsAuto forecasts -- with most of the gain coming from new plant investments. Germany's Audi, BMW and Mercedes-Benz are among luxury carmakers that have recently announced new production capacity in the region. Under Geely's ownership, Volvo has stepped up model investments and added a pair of Chinese factories to its two older European plants. In the United States, where its sales fell 8 percent to 56,000 vehicles last year, the production investment is key to a medium-term pledge to return to 100,000 annual deliveries. Volvo also faces tougher competition in the U.S. from the resurgent Lincoln and Cadillac brands, as parents Ford and General Motors invest a combined $14.5 billion to revamp their line-ups. Samuelsson acknowledged the tougher U.S. market conditions, while maintaining that they would not thwart Volvo's plans. "We have a premium brand that is very different," he said. Mexico was also on Volvo's initial "long list"but the choice for the new factory eventually whittled down to South Carolina and Georgia, he said. Transport links including harbor access were among the decisive considerations that ultimately weighed in South Carolina's favor, according to the carmaker. "Logistics was one of the most important factors" for a plant that will import large numbers of parts and export some vehicles, Samuelsson said, adding union representation was "not a relevant factor." According to an environmental permit application filed for the Berkeley County site, the new factory will initially create 2,000 jobs. FOR many Australians Easter means packing the family into the car and heading off on a road trip to visit relatives or a favourite holiday destination. But with more cars, caravans, trailers and boats travelling on the nation's highways, Easter is also of the busiest periods to be on the road. During the 2014 Easter long weekend 14 people died in car accidents across Australia. "Accident statistics show that drivers are twice as likely to be involved in a crash during Easter because they are fatigued or in a hurry to get to their destination," Volvo Car Australia Technical Manager, David Pickett said. Volvo Car Australia has released its top 10 safe driving tips to ensure that you and your family have a safe and enjoyable Easter on the road. 1. Check your tyre pressure when your tyres are cold, as under inflation of tyres can cause excessive tyre wear and tear. Correctly inflated tyres will also improve your fuel economy. Often overlooked is the spare tyre. It is also important to check that your spare tyre is installed and inflated to the correct pressure. 2. A loose object weighing 20kg in a 50 km/h frontal collision can carry the impact of an item weighing 1000kg, so your load must be secured correctly. It's a good idea to put any loose objects in the boot of the car or behind a cargo net. Position heavy items against the rear seat backrest. Volvo provides integrated mounting points to tie down heavy loads in all vehicles. In Volvo wagons and SUV's, use the supplied load net to separate the load from the passenger compartment. 3. Windscreens are an often overlooked component of safe driving. Check your wiper blades condition, noise, streaks or lines indicate a need for replacing Keep the screen clean - dirt, tree sap can deteriorate wiper blades. When you hand wash the car wash the wiper blades also. Fill your washer fluid & use a windscreen washer additive to help clean the screen and use when washing. Make sure the inside of your windows are clean especially for night or driving into the sun. 4. Ensure your lights are working for any night time driving you may do over the long weekend. It's also a good time to clean the lenses for maximum visibility. 5. If towing a trailer, boat or caravan, check the tow hitch and electrics, and brakes. 6. Stop every two hours for a 15 minute break. You can find rest stops on your route at www.driverreviver.com.au. Volvo's Driver Alert System can detect a fatiguing driver and will prompt the driver to rest. It is also good to share the driving whenever possible. 8. Minimise in-car distractions such as mobile phones - if you need to make or answer a call, pull over somewhere safe to do so. Volvo's Intelligent Driver Information System helps the driver prioritise the information in the car depending on the current driving situation. If necessary, IDIS steps in and delays incoming phone calls and other information until the driving situation is calmer. 9. Be aware of speed limits on unknown roads. Remember, double demerit points apply all Easter weekend. 10. Remember that everyone is in the same position as you. Don't get frustrated if you are stuck behind a caravan. Be patient and wait until you reach dual lanes or only overtake when it is 100% safe to do so. Volvo is busy reinventing itself as a maker of proper premium cars that aren't German, and making a decent fist of it with newer cars like the V40 and the potentially game-changing new XC90, but also with cars that have been around a bit longer. Like the V60. The V60 may no longer be a 'new' Volvo, but its is a car Volvo has worked hard to make very appealing, and done so in a way that isn't Teutonic copy-cat, rather more subtle and matter of fact. Which is a good USP. But what Volvo has also done is turn the V60 in to the world's first diesel plug-in hybrid with the car we've got this week – the Volvo V60 PHEV D6 AWD Geartronic R Design Lux Nav. Which, thankfully, isn't written in big chrome letters on the V60's tailgate. On the face of it, the V60 PHEV (plug-in hybrid electric vehicle) is the best of both worlds, with the promise of low-cost electric emissions-free driving when you need it and performance you don't expect from a hybrid when you want to play. But the elephant in the room is the price – a not insubstantial £51,675, and a properly hefty £58,150 with the goodies Volvo has fitted to our review car. Yes, you get a £5k rebate from the taxpayer when you buy, but that still means the Volvo Estate we're testing costs £53,150, even after rebate – a chunk more than the V60 Polestar we tested a couple of years ago. Thankfully, car makers have learnt in the last few years that 'Green' cars don't need to have hair-shirt looks, and buyers are more likely to buy if the car looks good as well as doing good. So the this V60 PHEV does what it says on its very long name and comes with the R-Design body kit to look purposeful without looking gaudy, a nice set of alloys to set that off and a white paint job that makes people pull over and stick to 69mph on motorways when you motor up behind them. The only thing that really marks the PHEV out from the non-hybrid V60s is 'Plug-In Hybrid' in subtle letters on the trailing edge of the tailgate, small badges at the top back of the front wings and an extra fuel flap on the front wing to plug in to the mains. 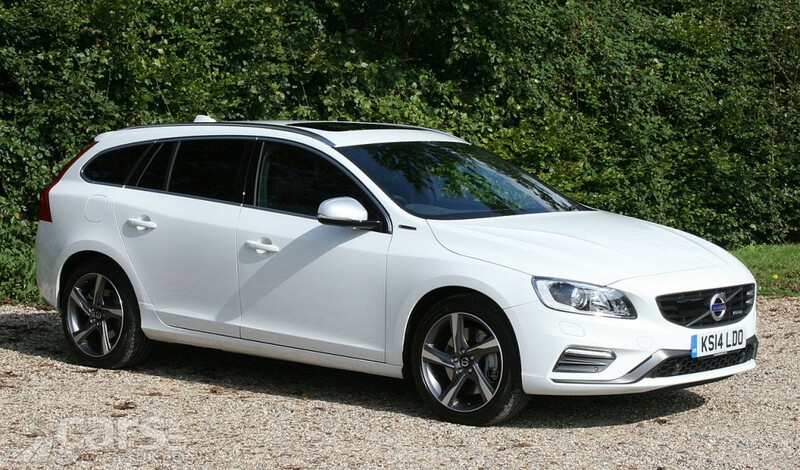 Inside is regular Volvo V60 good as well, with a simple – but appealing – Swedish take on luxury, easy to use and intuitive (once you're used to them) controls and great seats – leather faced R-Design ones with electric adjustment and heated thanks to the big spec mentioned above. That spec includes the Driver Support Pack – stuff like Adaptive Cruise, Collision warning, Pedestrian Detection, Lane Departure Warning and Blind Spot Monitoring – which costs £1900 and the Winter Illumination Pack – which includes heated front seats, heated windscreen, Active Bending Xenons, spiffy ambient light and auto-dimming mirrors – for another £675. Individual options included here include Power Glass Roof (£850), Keyless (£550), Sensus with Harmon Kardon Premium Sound (£500), Rear Camera (£375), Park Assist front and back (£325) and extra long plug-in cables (£50). It all makes the V60 a very nice toy. The regular Volvo V60 isn't perfect, but it's an awful lot better than those whose mind set defaults to BMW or Mercedes think, with decent steering, decent dynamics, decent comfort and decent performance. The V60 PHEV offers all that, as you'd expect, but an awful lot more as well. With an electric motor good for 70 horses and Volvo's old D5 diesel engine for another 215 driving the front wheels, there's decent power to play with, and play with in a way that suits your journey and mood. Three main modes offer easy access to the V60 power options, with Pure offering just EV running, Power throwing everything the V60 has at getting you along the road and Hybrid (the default option) utilising both power sources automatically. There are also a couple of extra modes to play with too, with AWD making sure you have drive to all four wheels (designed for slow speeds in slippery conditions) and Save which makes sure you use only the diesel engine so you can save up the battery power for when you're back in town. And it all works very well. Charging is easy at home (an overnight charge will give you an EV range of 2o odd miles in the real world) or at a public charging station, although its relatively slow rate of charge and apparent inability to use public fast chargers really means you need to plug in at home. Once charged, you can do most of your daily errands and commute in serene silence without letting the diesel motor chime in its horses, which means the V60 tells you you're doing well over 100mpg. And out on motorways it's an easy cruise (especially with the good adaptive cruise fitted to our car) with the Volvo telling you you're doing 60-odd to the gallon. But forsake the local poodling and motorway cruise and have a thrash round some B-roads and the economy takes a real dive, but with the ability to make brisk progress (0-62mph in under 7 seconds) even though it feels a bit hefty, that's no surprise. In fact, the V60 PHEV does everything you could reasonably expect it to do, and does it well. The latest Volvo cars can already brake automatically to avoid rear-ending the vehicle in front, and can spot pedestrians and cyclists day or night, but it has now turned its attention to animals. 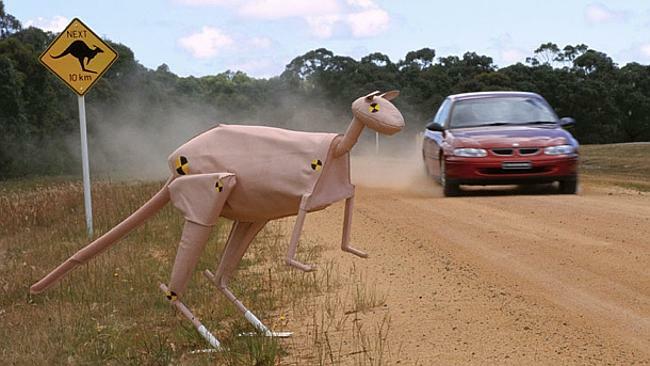 Volvo safety engineers say they are starting with big, slow moving animals first, such as cows and sheep, but they say trying to detect and then avoid a jumping kangaroo is "not impossible".